"Jan Gehl is our greatest observer of urban quality and an indispensable philosopher of cities as solutions to the environmental and health crises that we face. With over half the world's population now in urban areas, the entire planet needs to learn the lessons he offers in Cities for People." "This book elaborates on many of Gehl's seminal ideas, examines some of the world's cities that have successfully improved over the last few decades, and states the challenges for the future. Many generations will lead happier lives and cities will be more competitive if their leaders heed his advice." "Jan Gehl continues to astonish us with his insight into what really makes cities work. He has a global reach in this book based on work he has done in Europe, Australia, and America with comparative data on how pedestrians use public spaces. The deep appeal is how quickly he has been able to assist some cities in turning their traffic-riddled streets into havens for people." "Jan Gehl's new manifesto…Pages will be dog-eared, margins annotated… accessibly deployed framework of research and a logical, lucid framework for all the telling details and surprising data. The book organizes a set of observations that will strike some readers as obvious, others as radical, but practically all as convincing, revealing how deeply grounded Gehl's system is in common sense. This kind of synthesis is no small task, and Gehl performs it with aplomb." "If Cities for People is widely read and widely applied, the world's urban life will be immeasurably better." "Fascinating guide on how to create cities that local residents fall in love with, rather than simply put up with." 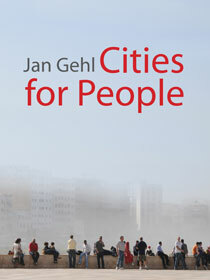 "Jan Gehl's most recent book—Cities for People—brought with it a lot of excitement and expectations. With a track record like his, however, it comes as no surprise that Gehl's strong perspective, clear prose and rigorous research is not a disappointment. Continuing his quest to secure the importance of the human experience as a top priority when planning and designing cities, Cities for People is a succinct collection of his experience and lessons to-date. Ultimately, Cities for People is one of those books that everybody—no matter what level you are in the industry—is bound to learn from. Clear and accessible, it's a must-read for students and early practitioners of planning, architecture, and landscape design, as well as anybody interested creating humane pedestrian cities. If one hasn't read any of Gehl's previous books, this is also a great place to start." "In his well-illustrated and accessible new book, Cities for People, Jan Gehl fills in the missing link in modern planning: how human beings actually function and respond to the built environment." "Jan Gehl's book constitutes part of a worldview; it embodies a fundamental re-orientation in the way that we regard and adopt knowledge about the behaviour of individuals and communities in the development of our cities." "...fascinating...Gehl keeps his latest effort engaging from start to finish." Cities for People was awarded the 2011 EDRA Great Places Book Award. The Island Press Urban Resilience Project, supported by the Kresge Foundation, is working to promote a holistic understanding of resilience that is grounded in equity and sustainability. For urban transport planners like me, these are interesting times. As our cities expand to accommodate new residents, traffic steadily worsens, along with attendant problems of congestion, pollution and accidents. Our challenge is to keep traffic moving without sweeping away the neighborhoods and amenities that draw people to cities in the first place. Most people assume that city street planning is a technical issue, involving prosaic concerns like road widths, demand modeling, traffic signal control and highway capacity. In fact, street planning is what social scientists call a “wicked” problem: an issue involving many stakeholders with competing interests; no single right answer; competing versions of value; and zero-sum outcomes. If one user group “wins” — for example, by securing a new pedestrian crossing outside a local school — another group may “lose,” as nearby stores contend with slower delivery times. To solve this conundrum, we must understand city streets — and how they generate value for urban communities and the wider society. At their most basic, streets are a set of physical assets: pavement, traffic signals, bridges, railings, benches, streetlights and all the complex technology that makes them work. The value of a city’s streets is often defined by the cost of replacing these assets. But their actual value far exceeds their asset value. Streets are valuable because of the services that they provide for the economy and society. Those services fall into two main categories: moving and living. A city’s streets are arteries or channels for the flow of people and goods — in cars, buses and taxis, on foot or by bicycle, in vans and trucks. This moving function is vital, and it has dominated post-war urban street planning. But in many cities, the dominance of the moving function has resulted in what Danish architect Jan Gehl calls the “60kph environment” — elevated freeways, highways bisecting communities, looming road signs designed to be read at speed. Too often, this infrastructure has crowded out the other crucial function of urban streets: living. Successful cities are where people stop, says Gehl, not where they keep moving. City streets are also public spaces in which civic life is played out. They are where people live and shop, where they sit in sidewalk cafes and watch passersby, the site of public gatherings and chance encounters. In London, where I serve as the director of surface transport, roads and streets account for about 80 percent of public spaces — way more than the city’s parks, gardens and riverside walks. As cities seek to attract new businesses, they are also recognizing that global professionals think of safe, accessible and attractive streets as must-haves. At the same time, cities need to acknowledge the equity issues surrounding infrastructure. 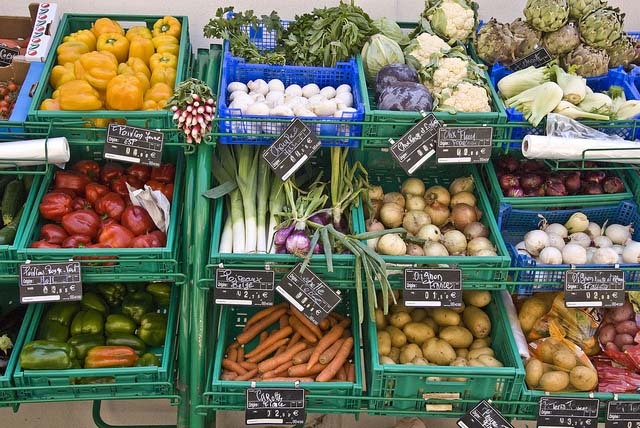 Freeways, intersections and depots are typically relegated to lower-income communities. So, while the affluent enjoy sidewalk cafes, low-income city-dwellers must cope with pollution, noise and diminished quality of life. There is a growing recognition that the social and economic health of a city depends on streets that allow moving and living, efficiently and equitably, for all citizens. In London, we are working to make that vision a reality. The challenges are steep. Traffic is set to grow in coming decades as our economy and population continue to expand. Congestion — particularly in the central area — could rise significantly as a result. And there is growing competition among different users: Cycling advocates will celebrate protected bike lanes, while bus companies express concern over changing traffic patterns. To help meet these challenges, in 2012, Mayor Boris Johnson and Transport for London (TfL) set up a Roads Task Force that brought together all the key street user interests. Their challenge was to see if they could agree on some principles for how the street network should be funded, designed, managed and operated. The Task Force was a success. 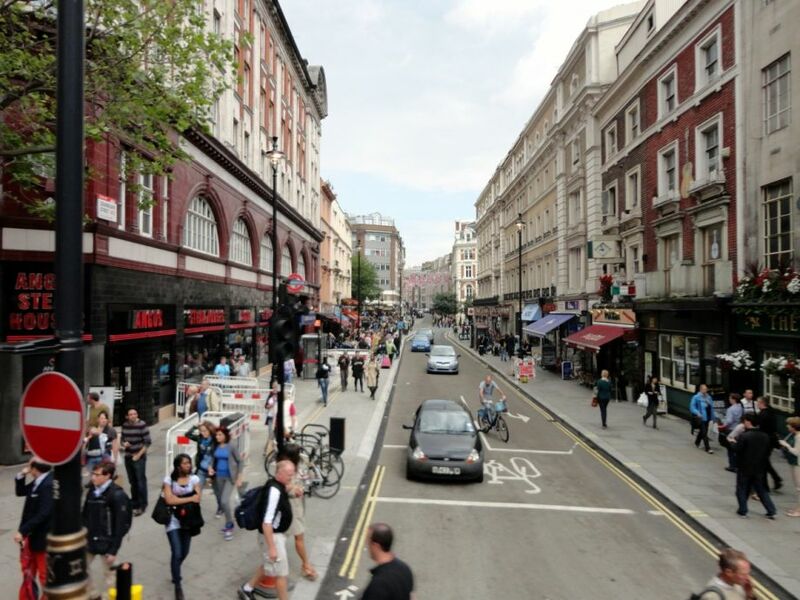 Its report in July 2013 set out the challenges facing London’s streets over the next few decades. It made clear that the Mayor and TfL would need to use all the tools in the planning and operational toolbox to meet these challenges, including possible development of new ways of charging for road use. And it endorsed the notion that the value of London’s streets lies in both their moving and living functions. This last conclusion is very significant. It gives rise to a way of classifying the city’s streets according to whether they are important for their moving role, their living role — or both. This classification will underpin highway and public realm design standards; decisions about what speed limit should apply to particular roads; and what priority should be given to cars, buses, taxis, walking, cycling and sitting around drinking coffee. Crucially, it moves the debate on street planning in London away from the idea that there should be a single “user hierarchy” across the network. There is no “one size fits all” solution to competing priorities on a city’s streets. Some streets are primarily about moving goods and people. Others are mainly places for human interaction and discourse. And many require designing and managing to fulfil both roles. TfL is now working with the local councils in London to classify every street in London according to its relative importance on the “living” and “moving” scales. 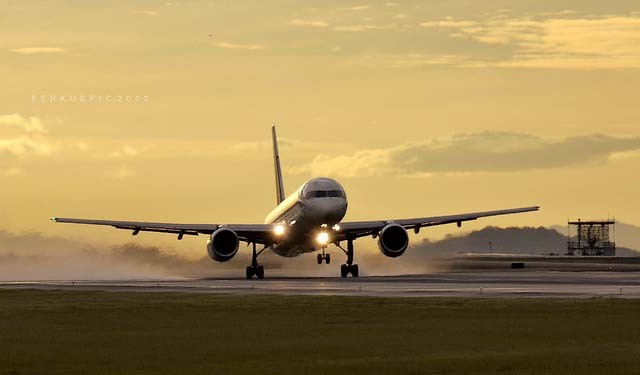 We have classified nearly 10,000 miles so far, from a total of 11,500 miles. This marks a new way of planning a city’s streets. The Roads Task Force hasn’t managed to take all the politics out of the management of London’s streets — far from it. City street management remains an inherently political issue. But it has provided everyone involved a common way to think about who and what should take priority on the city’s crowded streets. Ben Plowden is the director of strategy and planning, surface transport for Transport for London. Walkability is a global movement. Every year walkability professionals come together at the international walking conference, Walk21. In October of this year for the first time the conference was held in Asia, in Hong Kong, where over 800 people from 38 countries gathered to learn from each other, to share their successes and to share their difficulties. In the walkability field there is perhaps no one more persistent nor better known than Jan Gehl, the Danish urban designer and architect who has been studying walking and advocating for people-focused design of cities for over 50 years. Much has been written about Jan’s theories, methods and successes in cities like Copenhagen, New York and Melbourne, but not much is known about the man himself – how his theories progressed, who influenced him nor of his life more generally. Our new book People Cities: The Life and Legacy of Jan Gehl shares this inside story, combining biography with personal stories of influence. For anyone wanting to be a walkability advocate the book will help you see how Jan has done this through combining academic, personal and political skills with an enormous amount of energy and gentle humour. Despite the growing recognition of the critical role that walkable urban design plays in terms of creating health, environmental and economic benefits, enabling walkability is not easy. Car-based planning is readily entrenched within our planning systems, particularly in the United States and Australia, and the tools that put car-based transport first, such as traffic impact assessments, are hard to overcome. The recent Walk21 conference highlighted the need for policy change (presented on by Peter), large demonstration projects (such as the major transformation of New York’s Time Square as presented in People Cities) and for small interventions such as the Wray Ave Solar Parklet – a small public space that will provide free solar power currently being converted from 2 motorcycle parking bays (as presented on by Annie and parklet designer Jean-Paul Horrè). These interventions provide hope, and importantly provide a political impact. People flock to them, reinforcing that if you provide human-focused places people like them and will use them. The conference also highlighted the need for data on how people use public space. Most cities know how many cars are using their streets, both for movement and for staying (parking). But most cities don’t know how many people are walking on their streets or where people are stopping to spend time. To make real change this data needs to be part of the regular planning process. The substantial amount of information on public life that has been collected by Jan clearly demonstrates that a sound knowledge base can enable changes to the planning system and to city design. This data empowers local decision makers and gives them the tools to overcome some of the entrenched modernistic, car-based planning strategies. Studying people breaks planning down to what it should be about–providing for healthy, vibrant and liveable places. That walkability is now a social and political movement is an important legacy of Jan Gehl and the Walk21 conferences. Dr. Annie Matan is a researcher and lecturer at Curtin University Sustainability Policy (CUSP) Institute, Curtin University, Perth, Western Australia, interested in creating sustainable, vibrant and people-focused urban places. Her research focus is on active transport, particularly walking and cycling, pedestrian planning and urban design, focusing on how people interact with the built environment and human health outcomes of planning decisions. She has worked for State and Local Government before joining Curtin University in 2011.